Weeks after the initial fracas about the tainted milk products from China hit the world, things have died down a bit. I still see milk and other dairy products on sale in supermarkets today. Though they most probably do NOT contain melamine, it is imperative for the sellers to lower their prices in order to attract people who might otherwise stay away from these products due to the scare. In Japan, however, a recent discovery has reawakened the fears of a lot of people. A popular pizza chain, Saizeriya, discovered that the dough they have been using contained traces of melamine. This was because they used milk powder to make the dough. Apparently, the milk powder was imported from China. I was searching reliable online shop for my delicate purchase and here it is! 🙂 ? Discuss your general health status with your doctor to ensure that you are healthy enough to engage in sexual activity. If you remember, melamine is known to have made countless babies sick in China. Melamine is a chemical that is used to manufacture various industrial products, most of which is plastic. You can just imagine what this kind of chemical can do to one’ health. In any case, the pizza chain is reported to have stated that the tainted ingredient was imported way before the Japanese government put high restrictions on goods imported from China. If there is a good side to this story, it is that the amount of powdered milk used in the pizza dough is not enough to make the melamine amounts toxic. 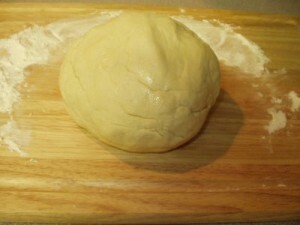 In fact, not a single person has been reported to be affected by the contaminated pizza dough.